Brooklyn & The Bronx | Custom & Private New York Tours, Inc.
Grand Army Plaza, Prospect Park and Ocean Parkway, a grand boulevard. We’ll choose from these spectacular neighborhoods, Coney Island, Cobble Hill, historic sites, Prospect Park and Park Slope neighborhoods. DUMBO is a “star of the show” with marvelous views too. 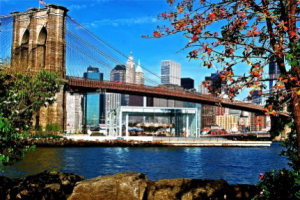 Visit Jane’s Carousel, best views of Manhattan. Take a step back in time in Williamsburg and see Manhattan from the shoreline, its “shore” to please! Visit the Old Stone House, a most significant site during The Battle of Brooklyn in The Revolutionary War. The shopping center of The Bronx is a vast contrast from Manhattan, and Charlotte St. compared with what was once there when Jimmy Carter publicized it as a symbol of urban decay.